A Senate Joint Resolution honoring Alabama’s senior U.S. 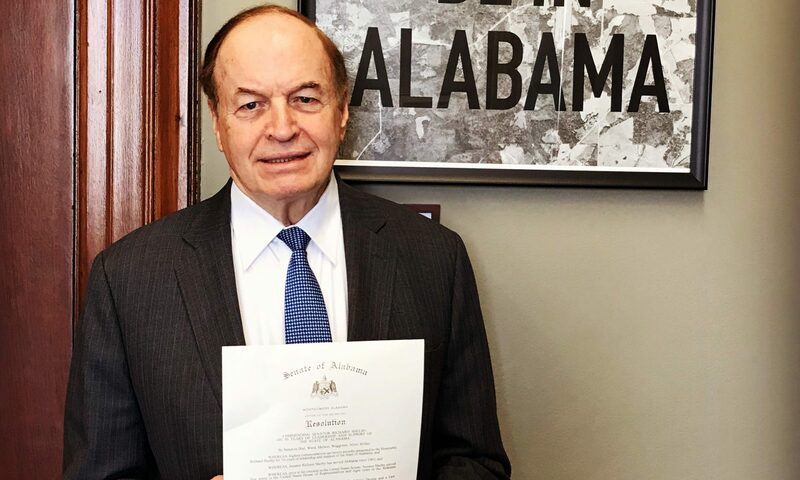 Senator Richard Shelby was adopted last week in recognition of his many years of public service. Beginning in 1963, as a city prosecutor in Tuscaloosa, Shelby’s commitment to his home state is one of, “immeasurable service” according to the Resolution sponsored by Republican State Senator Gerald Dial. “I am honored to have served with Senator Shelby in the Alabama Legislature and to know that he is always available to discuss issues important to our state and it’s citizens,” said Dial. Before his election in the U.S. Senate, Shelby served four terms in the U.S. House of Representatives and eight years in the Alabama legislature, according to his official bio. Born in Birmingham on May 6, 1934, he was the seventh of eight children and the only son of Ozie Houston Shelby and Alice L. Skinner Shelby. While attending Hueytown High School, he played football and starred as a defensive end, as noted in the Encyclopedia of Alabama. Shelby also started for the Alabama Crimson Tide football team, but a knee injury in his freshman year permanently sidelined his football aspirations. “Throughout his tenure in Congress, Shelby has successfully directed hundreds of millions of dollars to Alabama in the form of buildings and research centers, as well as through federal programs,” according to C. J. Schexnayder’s writings. His wife, Kinston native, Dr. Annette Nevin Shelby, is a legend in her own right being the first woman to become a tenured full professor at Georgetown University’s McDonough School of Business. Sen. Shelby is the chairman of the Senate Committee on Rules and Administration. He also serves on the Senate Appropriations Committee and the Banking, Housing, and Urban Affairs Committee.